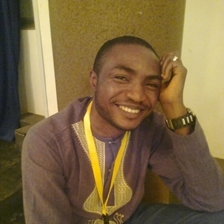 Africa39 author, Abubakar Adam Ibrahim (Nigeria). Abubakar Adam Ibrahim recently attended the 2015 Africa Writes festival (read his conversation with Emma Shercliff, about ‘love, romance and the gendered nature of reading and writing in Northern Nigeria’ at Africa in Words). Ibrahim was kind enough to visit our virtual offices and talk a bit about himself and his work. What are your 5 favourite novels? There are many favourites, some for their aesthetic quality, some for their amazing storylines and others for their historical significance. But the more you read the more discoveries you make. At the moment, Memoirs of a Geisha by Arthur Golden remains a favourite for its historical depth and the author’s ability, even as an outsider to capture a dying Japanese culture.